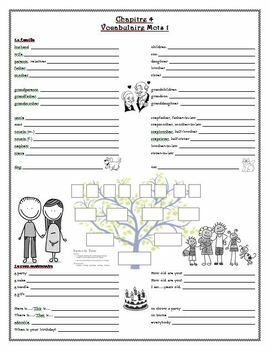 Give your students a tool for taking notes and studying vocabulary. This 2-page set of guided notes corresponds directly to the vocabulary in Chapter Four of the Bon Voyage textbook. Words are presented in English with lines for students to write the French translation. 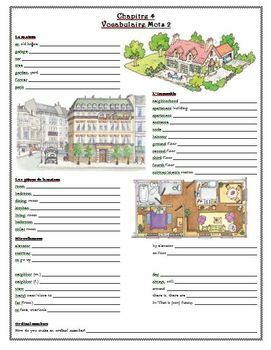 The worksheets are great to use as guided notes along with a PowerPoint and can even double as a vocabulary study guide. Note: For a presentation that corresponds directly to these guided notes, check out my Bon Voyage Chapitre 4 PowerPoint.